BEAUTIFUL TWO STORY HOME WITH 4 BEDROOMS, 3 BATHS. 1 BED 1 BATH DOWNSTAIRS. NICE OPEN FLOOR PLAN,FORMAL LIVING AND DINING AREA WITH HARDWOOD FLOORS. BEAUTIFUL KITCHEN THAT LEADS TO A LARGE FAMILYROOM. KITCHEN HAS GRANITE COUNTER TOPS AND A CENTER ISLAND. BIG MASTER SUITE, W/ WALK-IN CLOSETS,SEPARATE SHOWER AND OVAL TUB. GAME ROOM OR KIDS PLAY AREA UPSTAIRS. BUILT-IN OFFICE/WORK SPACE. BUILT INENTERTAINMENT CENTER IN FAMILY ROOM, LAUNDRY ROOM DOWNSTAIRS. LARGE BACK YARD WITH NEWER PATION COVERING, PLENTY OF SPACE TO ADD A POOL. 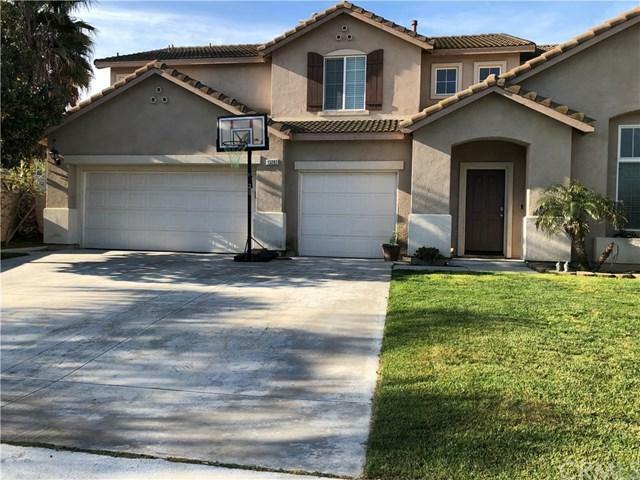 CLOSE TO SCHOOLS, SHOPPING, ENTERTAINMENT, RESTAURANTS AND FREEWAYS. LARGE 2 CAR GARAGE. FIREPLACE IN LIVING ROOM,EXTRA LARGE SIDE YARD FOR RV PARKING.